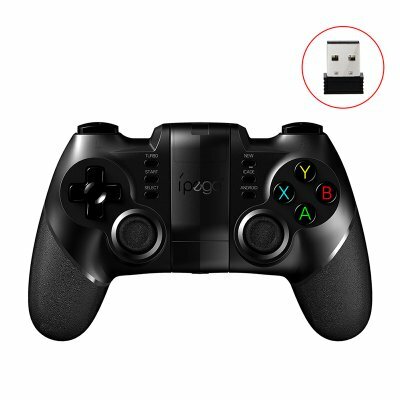 Successfully Added IPEGA 9076/9077 Bluetooth Game Controller 2.4G Wireless Receiver Android IOS Game Console Player for PUBG to your Shopping Cart. Support Android, iOS, Win XP / 7 / 8 / 10 system. With Turbo acceleration function, more powerful and quick. In mouse mode, it has multimedia function. Apply to 4 - 6 inch smart phones.